To commemorate one hundred years since the end of the WW1 the Swansea Philharmonic Choir will perform Benjamin Britten’s War Requiem on Sunday 2 December at the Brangwyn Hall. It is a work that is rarely performed because it requires large forces – two orchestras, two choirs and three soloists. We are lucky however, because we will have a once-in-a-generation opportunity to hear this magnificent work performed by the Swansea Philharmonic, accompanied by the British Sinfonietta with the Nidus Children’s Choir. The soloists are to be Jennifer Walker – soprano, Peter Davoren – tenor and David Stout – Bass. The conductor will be Jonathan Rogers. The programme for this concert will include an ‘In Memory’ section and members of the public are invited to send in names of family or friends who have died as a result of warfare over the last century. Contact ridgegower@gmail.com if you would like a loved one to be remembered. This very popular event, the St Peter’s Church Newton Petertide Festival, starts this year on Sunday 24 June at 10.00. 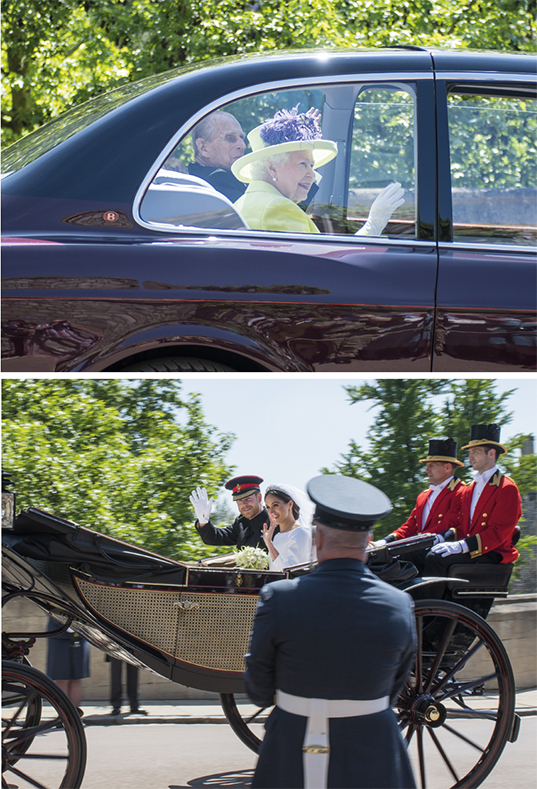 The Festival Service will be conducted by Canon Chris Darvill. This is a traditional story enhanced by a hypnotic string accompaniment. Stolen is a tale of lost loves, bravery and above all else, hope. Tuesday 26 June 19.30 Young people will be presenting their various talents. Wednesday 27 June 19.30 Penny Ryan and Mumbles Voices will be singing a selection of songs. 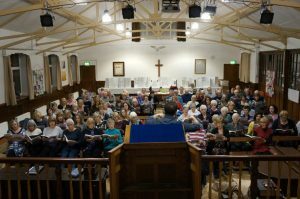 Thursday 28 June 19.30 Singleton Singers will perform under the baton of Carole Edwards accompanied by Jonathan Lycett. Friday 29 June 19.30 St Peter’s home grown talent will be performing an entertainment called “Around the World in 80 minutes”. Sunday 1 July 10.30 the Archbishop of Wales, Rt. Rev John Davies will be officiating. After the service everyone is invited to the hall for cake, coffee and tea. The price of a Patron’s ticket has been held at £20 to include all the events. Tickets for each individual event will cost £8 (under 16s £3) available from Newton Village Hall. Tel: 01792 369420. Liz Barry recently used Simply Misted Windows to replace a couple of panes of glass that had blown in her double glazing. Liz said ‘Ashley Evans completed the work very quickly and with no mess, the difference in my windows was amazing – I hadn’t realised how badly misted my windows were, until they were crystal clear! My next door neighbour was so impressed she had hers done too and recommended Ashley to another friend’. Swansea City is out of the Premier League! That’s a sentence that no self-respecting supporter of our favourite football team ever wanted to hear. Yet there have been ups and downs since the club’s very start. There’s been elation and despondency in equal shares. So let’s look on the bright side and be patient until Wales’ first premier league football team – our team – heads back into the top flight. That day will come. Meanwhile, take a look at this picture. 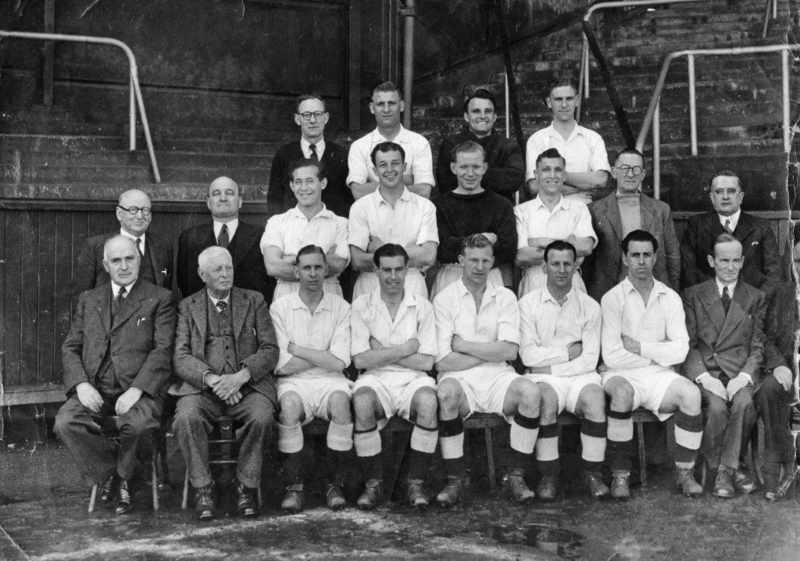 It shows a group of Swansea Town FC players with officials in 1948. Then they played at the hallowed ground known as the Vetch. At the time the Liberty was nothing other than a slag heap. How different must the times of these footballing fanatics have been! The image is one of more than 300 offered up by Swansea Echoes of the past the most recent and 20th consecutive book by David Roberts. On sale now, the book captures some fantastic glimpses of Swansea in the past as will the next volume for which David is currently appealing for photos right now. For details on how to obtain a copy visit www.bryngoldbooks.com or phone 01639 643961. The Royal Institution of South Wales, also known as the Friends of Swansea Museum, will be holding a Strawberry Afternoon Tea on Thursday 21 June from 14.00 to 16.15 at Swansea Museum. The Museum is located on Victoria Road. In addition to the Strawberry Tea there will be musical entertainment and a raffle. Two of the most popular pieces of choral music feature in the Gower Chorale’s Summer Concert, albeit three hundred years apart. They are Mozart’s Regina Coeli and John Rutter’s Magnificat.The concert takes place on Saturday16 June at 19.00 at All Saints Church, Oystermouth. It will be conducted by the choir’s Musical Director Dr William Reynolds and will feature local soprano Ros Evans. For tickets, contact 01792 404391 or 01792 207950. 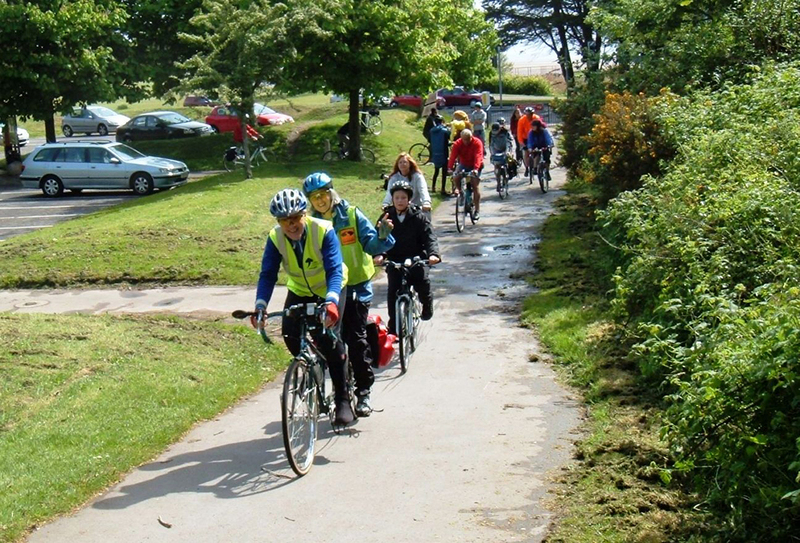 This is the 9th Gower Cycling Festival and features 21 rides. The festival registration fee remains at £5 (Children under 16s FREE.) This entitles you to unlimited rides. It is payable in advance and can be done off – or on-line. However if you join just the rides marked [ ] in the programme there is no charge. 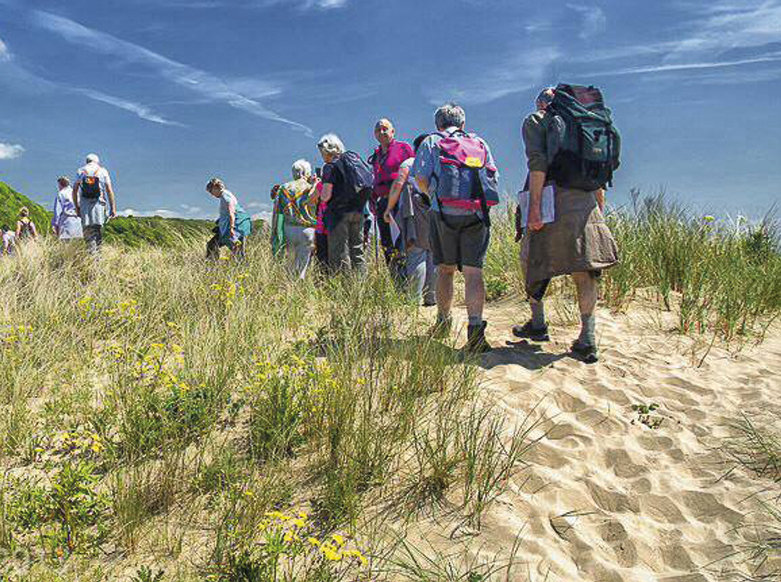 The rides range from gentle, moderate and challenging so there is something for everyone. Get ready for another weekend of terrific air displays from some of the most iconic aircraft including the Red Arrows on Saturday 30 June and Sunday 1 July. Position yourself on the seafront, sit back and enjoy the show. 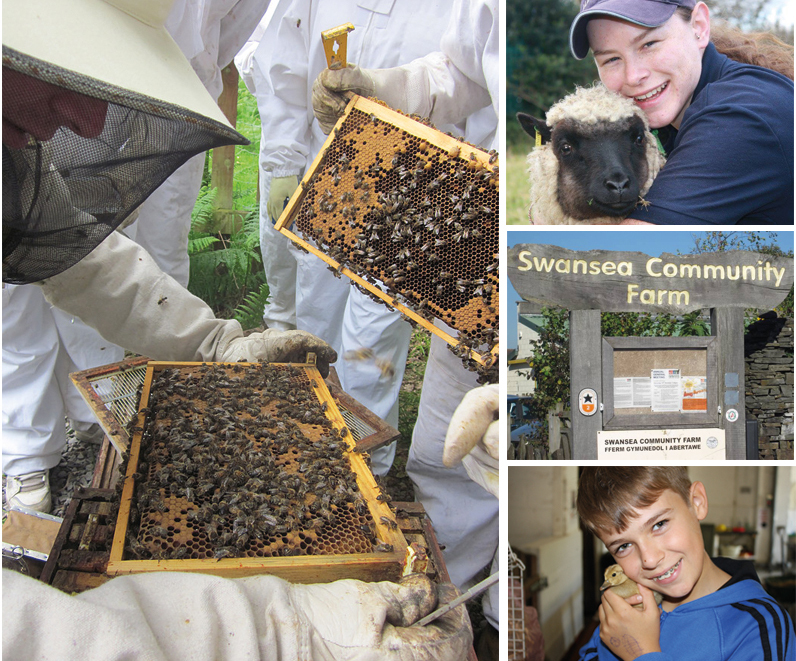 Honey Harmony – help extract the first honey of the season whilst picking up some interesting facts about bees. Bring some money and buy some honey! 14 July 2018 Fee: £1.50 per person. An introduction to permaculture – 13/14 June 2018. This 2 day course covers the basic principles for you to use in your own garden. Fee £60 for the 2 day course. There’s a summer produce market on Sunday 22 July from 10.00 to 14.00. Sketty Scouts are holding their Summer Fair with Crafts at the Sketty Scout Hall and Parish Hall car park on Saturday 7 July from 14.00 to 17.00.